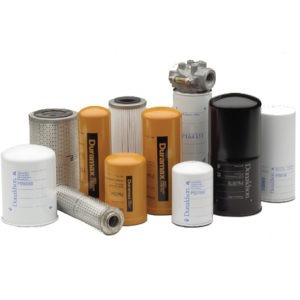 Donaldson Filters - Fluid Dynamics Midwest Inc.
Donaldson Filtration Solutions develops, manufactures, and markets a full line of industrial hydraulic filters for the protection of machinery and components in hundreds of applications — in the factory and on heavy duty-mobile equipment. When you need filter housings, filter heads, replacement cartridges, spin-ons (e.g. Donaldson Filters’ Duramax™) or hydraulic accessories, turn to Donaldson Filters. Fluid Dynamics Midwest is proud to offer a broad line of upgrade/replacement filter elements with a short delivery time. Donaldson heavy-duty high-pressure filters sit behind pumps and other prime movers to protect critical hydraulic components such as cylinders, motors and valves. All contain our SYNTEQ® synthetic filter media, specially developed by Donaldson for high efficiency liquid filtration. Working pressures range from 2000 psi up to 6090 psi; static pressures from 4500 psi up to 12000 psi. HNK DURAMAX® spin-on hydraulic filter is the newest addition to Donaldson’s family of medium pressure filters. The HNK adds a proprietary fit to help you retain the replacement element business. 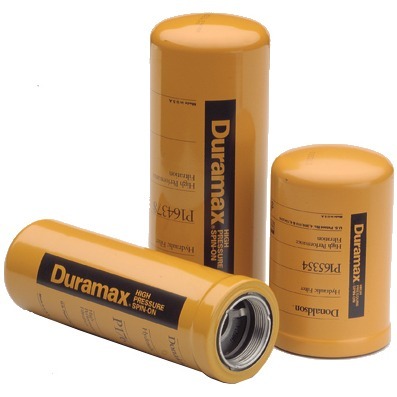 DURAMAX is well-known as the highest rated spin-on style filters available. They are most often used in return-line positions. As spin-ons, they are particularly well-suited for duplex circuits. Available with Donaldson Synteq® and cellulose media. DURAMAX working pressures range from 350 psi up to 1000 psi; static pressures from 800 psi up to 2000 psi. Low pressure filters are the most common type of filter in hydraulic circuits, used as return line filters in applications with typcial working pressures up to 150 psi and static pressure up to 300 psi. 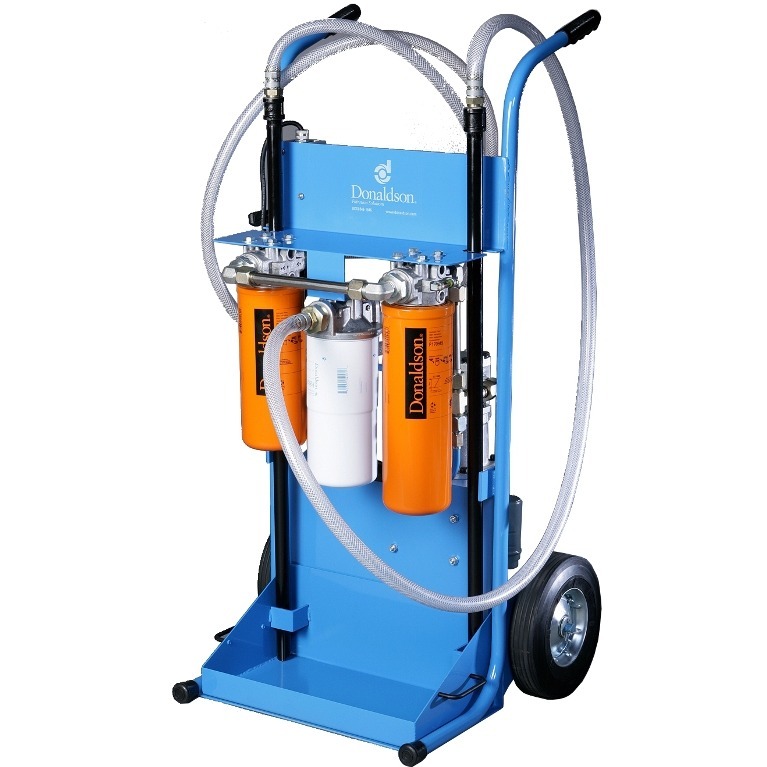 Donaldson offers flow/pressure combinations to fit most applications. Continuous filtration of bulk fluids through dedicated off-line circuits or kidney loops helps keep fuel, oil and lubricants clean. Donaldson offers an extensive line of accessories for hydraulic circuits, lines, and reservoirs! Donaldson offers the broadest selection of hydraulic replacement cartridges and coreless elements. Choose from our many different filter media grades to find exactly the right filter to help you meet the cleanliness requirements for your hydraulic system. Need cross-reference? Donaldson has an extensive list! Click “Part Search/Cross Reference” at the top to access it. Donaldson Company offers a complete line of high quality liquid purification systems, flushing systems and services designed to purify contaminated oils, fuels and many other fluids for a variety of industrial and bulk handling applications. 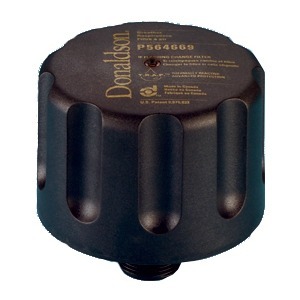 Donaldson offers a variety of fluid condition monitoring products. 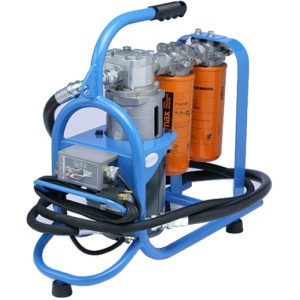 These products allow industrial hydraulic equipment operators to quickly analyze fluid and evaluate machine operating conditions to optimize filtration performance, minimize downtime and extend equipment life. 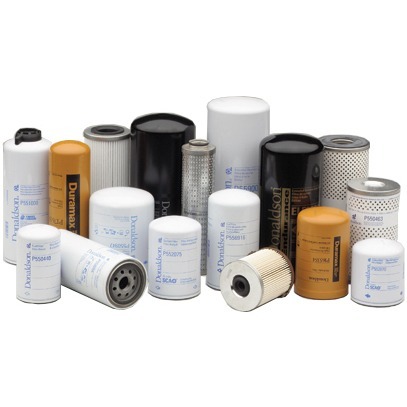 Fluid Dynamics is a Stocking Distributor for Donaldson Filters.